If you own shares in a foreign company, the foreign government will probably tax your dividends. If you report these dividends on your U.S. tax return, the Internal Revenue Service will treat them as part of your total income. To avoid double taxation, however, the Internal Revenue Code allows you to offset the foreign taxes you paid against your IRS tax liability. There are two ways to offset foreign taxes liability against your U.S. taxes -- by deducting them from your taxable income, or by subtracting them directly from your U.S. tax due. 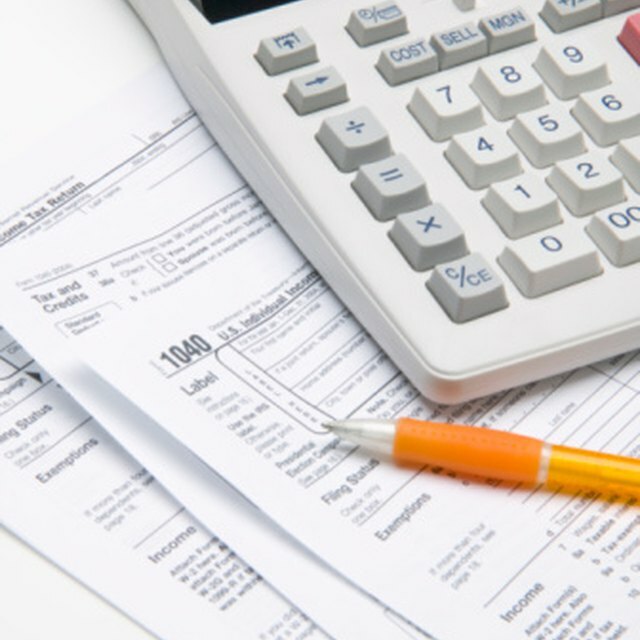 The IRS recommends the second method because it almost always results in lower tax liability. Complex rules apply to the calculation of the credit if your dividends meet IRS standards for qualified dividends. To be eligible for the foreign tax credit, the tax must be actually paid or assessed for the tax year in which the credit is claimed. The tax must be mandatory, and it must be legally imposed -- you cannot credit money extorted from you by corrupt officials against your U.S. tax liability, even if this is a normal way of doing business in the country in question. Only income tax, excess profits tax and war profits tax qualify for the credit. If you have invested in a mutual fund, the fund may have invested in a number of foreign companies in dozens of different countries. Calculating the amount of your foreign tax credit can get complex under such circumstances -- you will have to list every jurisdiction, and calculate the tax imposed by every country on dividends distributed by every company. In some cases, the tax savings might not be large enough to justify the time and expense necessary to calculate it. Can Canadian Citizens Have an IRA? Individual taxpayers must file Form 1040 to claim the foreign tax credit for dividends. Corporations must file Form 1120, the standard corporate tax return, to claim the credit. If the credit is more than $300, individuals must file Form 1116 as well, and corporations must file Form 1118. For dividends that exceed $300, the credit is limited to the amount you would be taxed on domestic dividends -- if the foreign jurisdiction taxes at a higher rate than the IRS, you cannot credit the excess against your U.S. taxes.